I get House & Home magazine delivered every month, and unfortunately I usually find the things they feature to be completely out of my wallets limited reach. Most of the time I just like looking at the pictures to get ideas, and dream about one day being able to afford to decorate my home like they do. This month's issue was shaping up to be no different, but about halfway through the magazine I spotted something that made me stop flipping the pages. 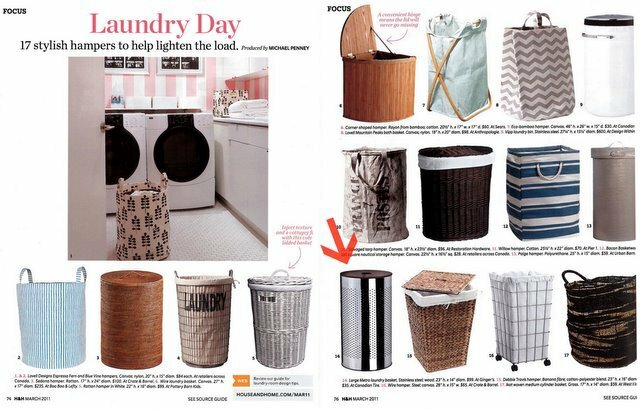 On the bottom of the second page of their Laundry Day feature is a stainless steel laundry basket that jumped out at me. 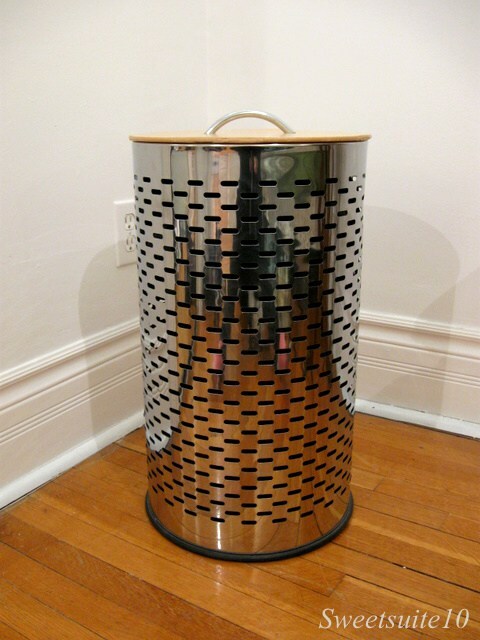 It's the Large Metro Laundry Basket, and it's available at Ginger's for $99. This is the laundry hamper that has been in my home for the past decade or so. A wee bit similar don't you think? The best part? I bought mine at Loblaws for $19.99!! PS - See that white hamper pictured on the top right hand side of the magazine - it costs $600 at Design Within Reach!! !